4 Short Lived Recording Formats Ahead Of Their Times! Vintage technology brings me back happy memories so I always enjoy learning about past technology whenever I get a chance. The evolution of recording formats is especially mind-blowing...just to think once upon a time recordings were done on a piece of wire! The following recording formats were very short lived because the technology wasn't there to make them as good as they could have been. A great shame as these recording formats and their player machines looked really great! Instead of recording onto magnetic tape, the wire recorder records onto a strand of stainless steel wire, about the thickness of a human hair. 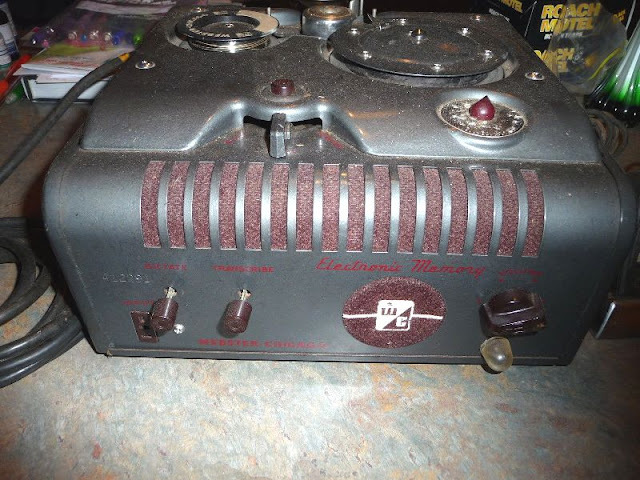 The wire recorder had a brief heyday in the late 1940's and people were really excited about what you could do with a wire recorder. 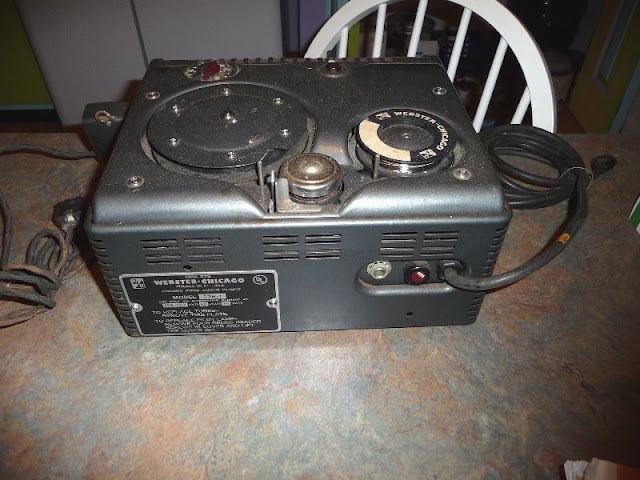 One of the most popular uses for wire recorders was as dictation machines and Webster-Chicago was the number one brand making them at the time. 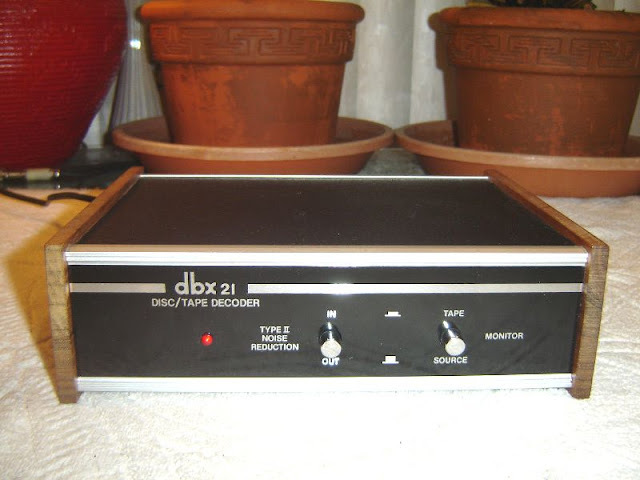 DBX dics were essentially vinyl records encoded with the DBX noise reduction system, which only worked with a DBX decoder. 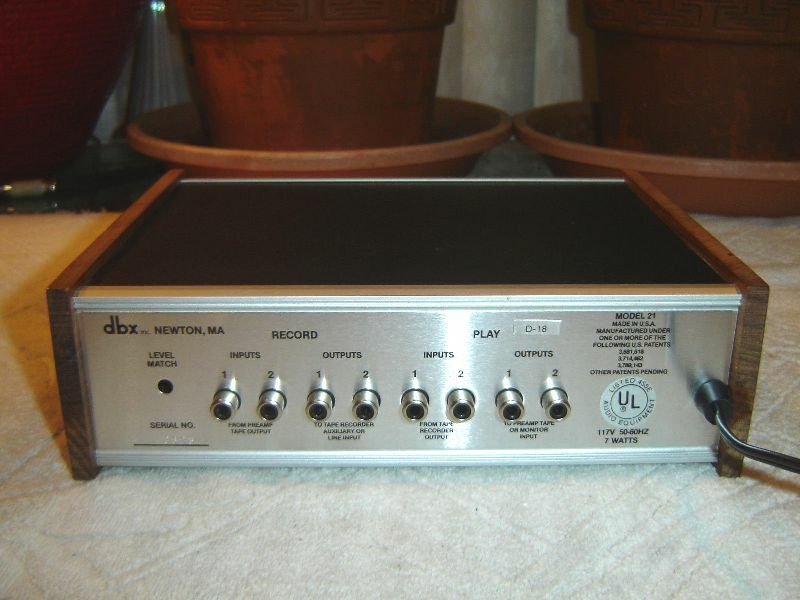 The cool thing about the DBX disc is that you could listen to the original 100 decibel master tape recording sound, unlike phonograph vinyl discs which could only go as high as 60 decibels. The master tape sound would be compressed down to 50 decibels to fit onto a DBX disc, so the DBX decoder would then expand the sound back to the original 100 decibels, so you'd effectively be listening to the original sound of the master tape recording. If you are someone who grew up in early 2000's you'd probably find hard to imagine people using mechanical magnetic tapes; especially given the popularity of electronic storage technology today. The Sony NT Cassette was a digital micro tape format of the early 1990's that looked very much like the Picocassette, which was the smallest analogue cassette tape ever made. 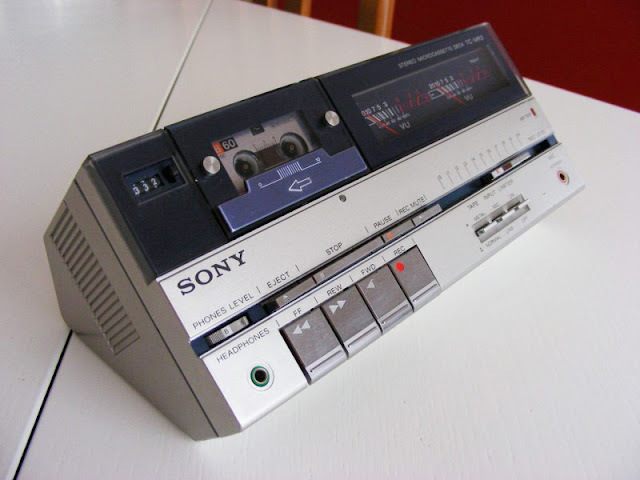 The Sony NT Cassette tape could fit 120 minutes of digital audio and worked on the Digital Audio Tape format, which means the Sony NT Cassette had a rotating recording and play head. The machine that played the NT Cassette was the Sony NT-2 Digital Micro Recorder, which could play digital High Definition stereo sound at 32 kHz sample frequency. If you don't remember ever seeing a cassette changer that would be because cassette changers weren't largely sold to the public but used mostly in shops or gyms. Cassette changers came in all shapes and could hold different numbers of cassettes. There were some cassette changers that could hold a massive 20 cassettes such as the Panasonic RS-296US (pictured below) and Philips N2401 Cassette Changer, both from the early 1970's (the Philips N2401 actually held 6 cassette tapes in a stack formation). 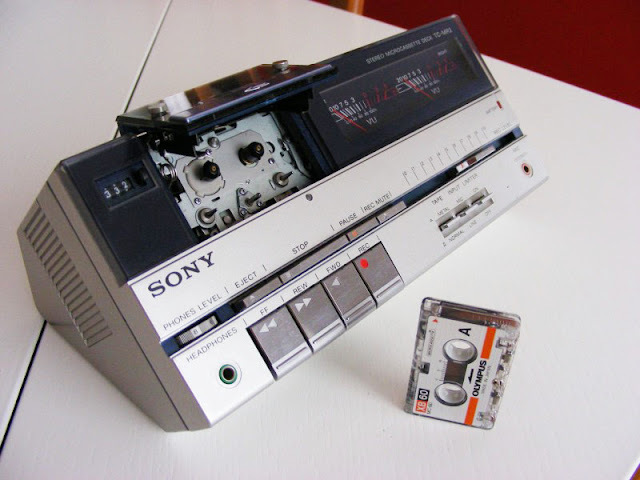 Towards the 1990's, automatic cassette changers started appearing such as the Sony 5-Tape Cassette Changer and Pioneer CT-M55R, which have a carousel that spins around the cassette tapes, automatically selecting a tape and putting it in the right position. The D-Theater tape format is another bit of technology that came out in the late 1990's when the first HD televisions were launched, in the year 1998. D-Theater was essentially HD Video on VHS format and the quality of this tape format could even compete with the likes of BluRay and HD DVD. 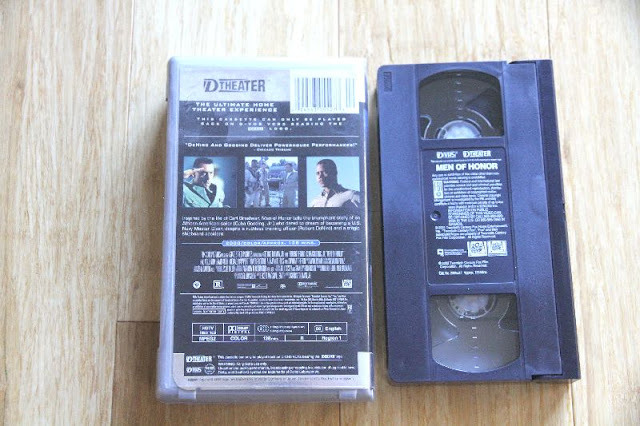 Prior to 2002, VHS and DVD were the king video formats but since VHS and DVD could not hold full HD movies another format had to be produced which could store at least 50 GB of data and play it back at a rate of 28.2 Mbps. That's essentially how D-Theater came about to fulfill the HD TV market in early 2000. 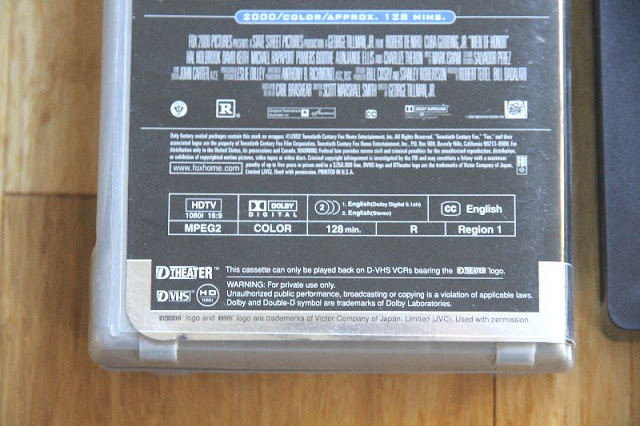 The D-Theater format was essentially prerecorded D-VHS cassettes sold under the D-Theater brand. Another obscured and largely forgotten piece of High Fidelity technology history is the Stereo MicroCassette metal tape, which was depicted as a futuristic recording format in the popular 1970's movie "A Clockwork Orange" and ended up becoming a reality in the 1980's era fascination with everything made small. The Stereo MicroCassette was essentially a miniaturized standard cassette with a dictation tape format that never really took off because of the poor quality audio produced by the slower tape speed of the microcassette format. Two popular microcassette players were the Fisher CR-M500 and SONY TC-MR2 (pictured).